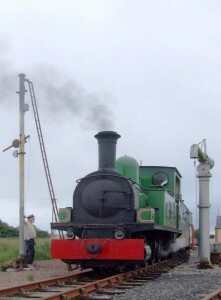 West Clare Railway has been restored to provide a fun day out for families and school tours. On our website you can stay up to date with all the happenings in Moyasta station. Come visit us and immerse yourself in steam, nostalgia and times past. Ireland’s most famous railway. Welcome aboard this treasured historical railway! Email us for information on the next Steam Train running dates. Steam engine operates for prebooked tours or by appointment in advance.Diesel Train operates by request. Copyright 2009 West Clare Railways All Rights Reserved.